When you are been injured on the job and you cannot work, you must move fast to secure workers’ compensation benefits. Unfortunately, your employer doesn’t always feel the same way you do. Employers and workers’ compensation insurance companies have a vested interest in minimizing any payment for your injury, and they can make the process difficult. The attorneys at Pyrros & Serres LLP can help. At Pyrros & Serres, we bring more than 75 years of combined legal experience in the field of Workers’ Compensation. We’ll use our considerable skill, knowledge, experience and resources to help you get full and fair compensation for your losses. The hallmark of our practice is our commitment to treat every client with courtesy, compassion and respect. 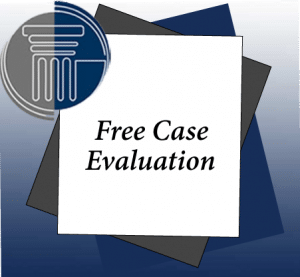 We take pride that so many of our new cases come to us as referrals from satisfied clients. When you retain Pyrros & Serres LLP to help secure benefits after a workplace injury, you will have highly experienced legal counsel at your side throughout the process, whether you’ve just been hurt or your workers’ compensation claim was initially rejected. We’ll never look at you as just another file in our system—we’ll take the time to get to know you as well as what you need to move forward. We take a comprehensive approach, taking your medical and legal needs into consideration—we’ll strive to ensure that you get the medical care you need and that your rights are fully protected. At Pyrros & Serres LLP, we handle all matters related to workers’ compensation for people across Queens and throughout the greater New York City metropolitan area.